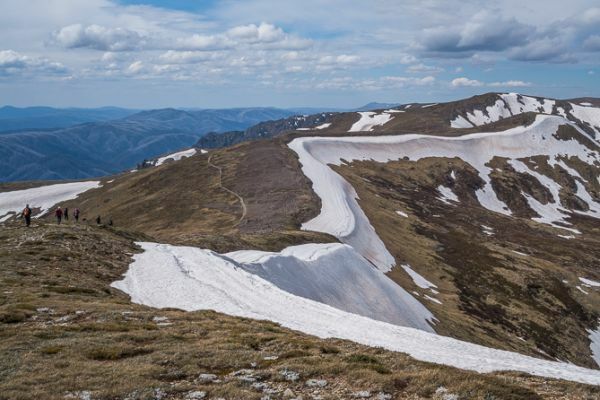 Climb the exciting ten highest peaks In Australia! 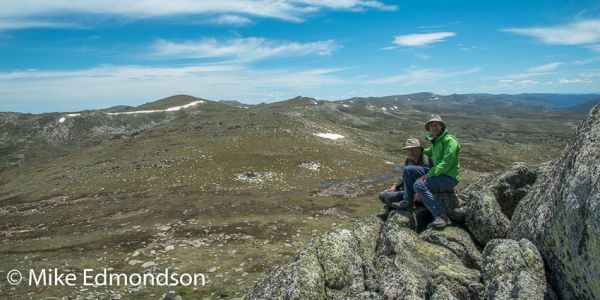 Clients have the choice to base their walk from lodge accommodation in Jindabyne or camping in the mountains. With many clients organising their own private fun small group of 4-5 friends. 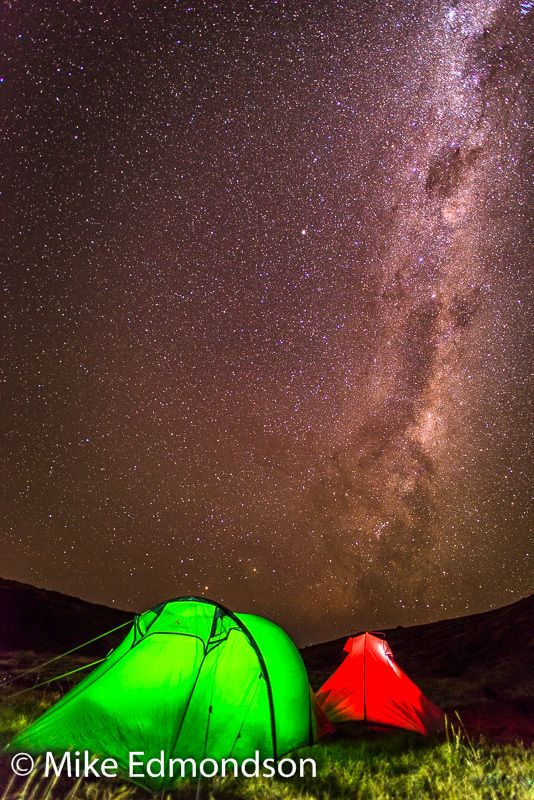 The camping option is popular for those wishing to camp close to the peaks in scenic locations. Walk to the peaks with light day packs and watch the sun set and rise from camp. The program to complete all ten summits is over four days, walking approximately 70km. The average walker takes 25 hours (not including breaks) to reach all summits. 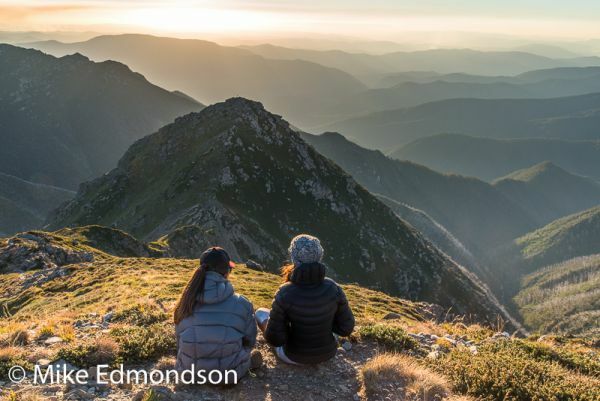 The four-day program allows time to enjoy the wonderful alpine scenery, without feeling you need to rush off to the next summit. 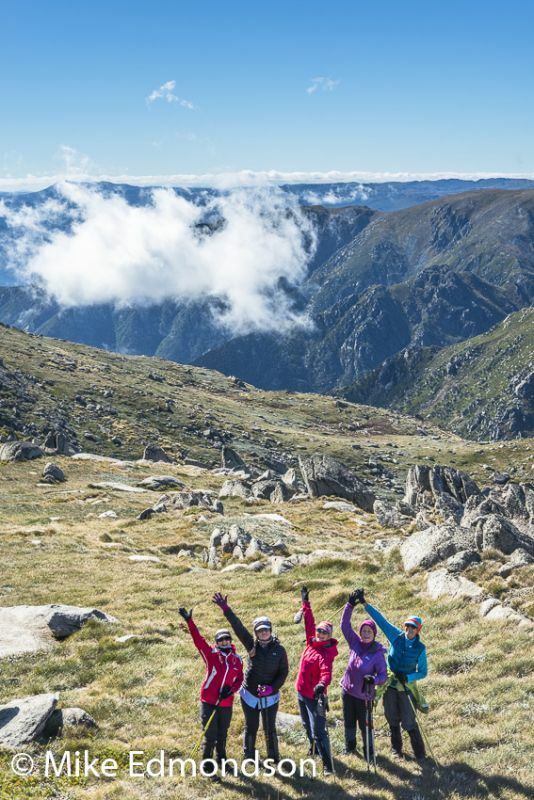 The combined height of all ten peaks is 21,788 metres (although you won’t actually ascend that height).The ten summits challenge is a great way to get fit, explore the magnificent Kosciuszko National Park and prepare for a longer trek in Nepal or elsewhere. 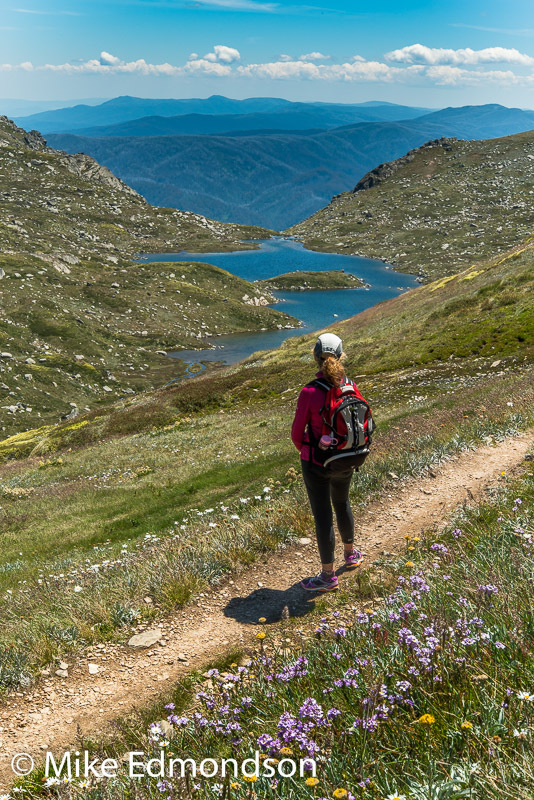 For those who may find the Ten Peaks Walk too challenging we can customise an easier walk to scenic locations peaks and historical stockmans' huts. 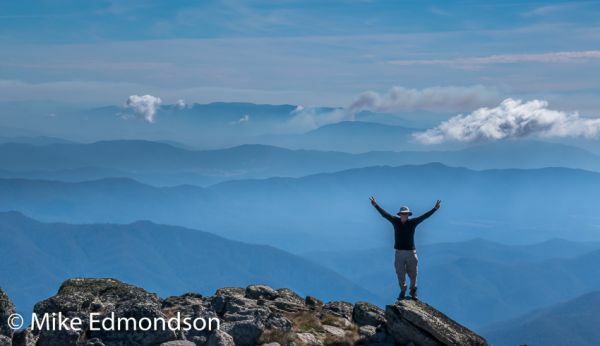 Checkout this YouTube link showcasing one of my favourite Kosciuszko walks scenic peaks walk with Alpine guide Mike Edmondson - YouTube. 2019 dates: Note: Camping and lodge options available on all dates unless marked. 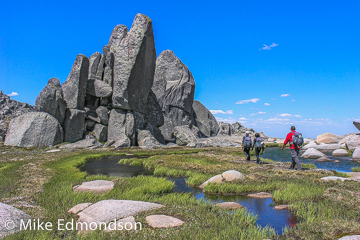 April 25-28 (Anzac Weekend), May 3-6, November 1-4, November 8-11, November 23-26, December 6-9 (Booked out), December 13-16, December 19-23(Booked out Photography Walk), December 28-31 or 27-30 In Alpine Wildflower Season, Plus other dates for private group & bookings. 2020 dates: January 3-6, Plus other dates to be advised. Cost: $700 pp for 3-5 clients, $950 pp for 2 clients or $1800 for a private walk with one person. When to walk? The best time to walk the ten peaks is from late October through to May as the weather is generally fine and the days are longer. 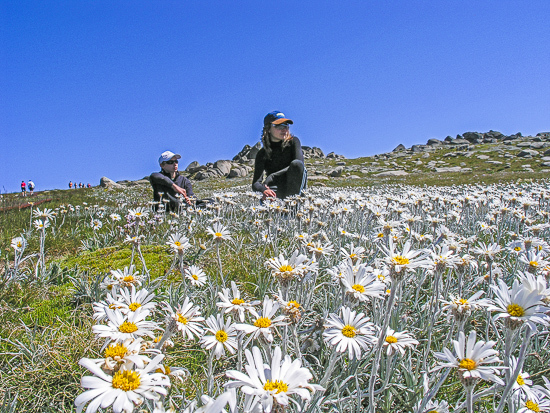 Snow drifts remain until late in the year and spectacular alpine flowers bloom in the warmer months from December through to late January. During winter and early spring the walk is more difficult due to snow and weather conditions. While the walk can be undertaken on snow shoes, additional days will be required to accommodate weather conditions and slower progress over snow laden mountains. Completing the challenge on cross country skis is an option for those with intermediate skiing skills. Camping Equipment (hire gear is available as follows for four days): Thermarest NeoAir Xtherm sleep mat $40 pp, Macpac Minaret four season one person tent $70 pp or Macpac Olympus two person four season tent $100 per tent, down winter sleeping bag and thermal inner sheet $55 pp, overnight backpack & rain cover, $50 pp, stove, fuel & food $160 pp or $45 pp stove & fuel. NB. Customised Walks can be tailored to suit your requirements. 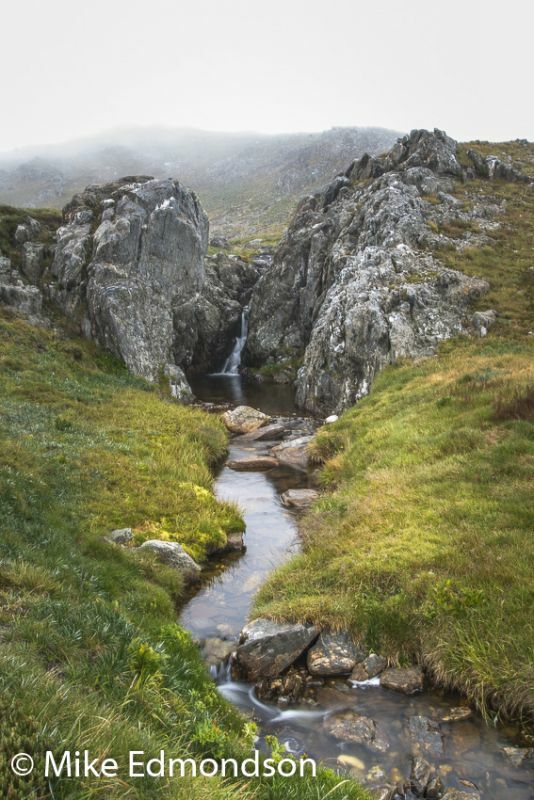 For example a six day scenic walk visiting peaks, glacial lakes, seeing Australian wildlife and historic stockmans’ huts. Camping or lodge based options are available.